Okay, I'm hardly a real fitness guy, but I do enjoy my runs, and I'm a data nerd, so if I do anything I like to track it. 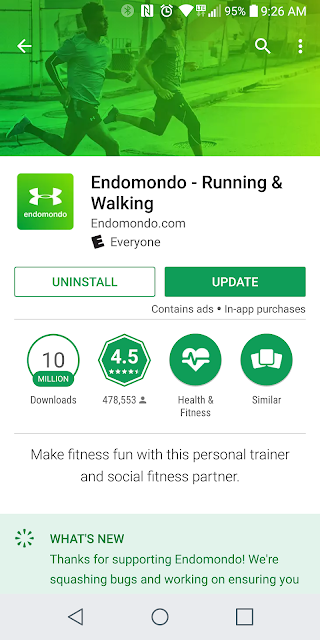 Before I had Google Fit I was using Endomonodo to track my jogs and my biking to work. I liked the data it recorded and supplied me. Well back in 2015 it was purchased by UnderArmor, and it was noticeable as there were a few ads in there for UA and promotions for them, and I'm getting lots of notices about getting discount codes to buy stuff from their shop. 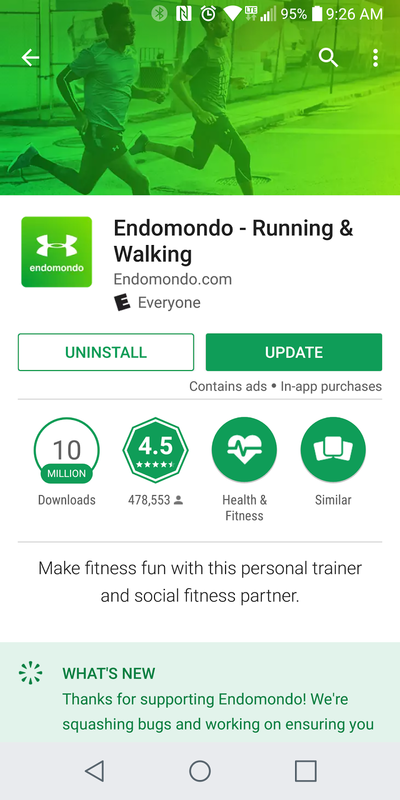 Yesterday they updated the app (or maybe it was sooner) and the change has been official in all but name as the app's logo is now the famous UA one. Darn, I really liked that little green dude. the old logo for those that forgot!